A neuropsychologist debunks a popular myth about substance abuse and explains how different personality types dictate certain drug addictions. A case study from Boston tells of three high school girls who met each morning in their homeroom class before the first bell, when the seats were still empty, to take their daily hit. They were regular drug users who experimented with different illicit substances but always gathered in the same venue. Once these daily highs wore off, they moved on to something stronger and switched to the girls’ bathroom to be more discreet. The first time they injected heroin into their veins, they experienced a powerful rush like never before. Not only was the drug being introduced to their body chemistry for the first time, but the change in venue also contributed to the overwhelming reaction. And because there was no previous association between heroin and the new venue, this new high was exceptionally euphoric. After that initial exposure, the girls intended to replicate that first rush in the same environment. But, because their brains now knew what to expect, and now associated that high with that particular venue, their reactions became less intense and exciting. While home from school one day, one of the girls injected herself in her own bathroom with the same dose she usually took in the school bathroom. She died immediately of an overdose. 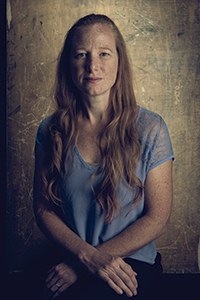 This phenomenon is the primary focus of Seaver College psychology professor Jessica Cail’s work—that the mind-body connection influences the effects of drugs beyond mere chemical quantities. A familiar setting can signal the brain to protect the body, just as a brand new environment can overwhelm it—regardless of dosage levels. Before joining the Pepperdine faculty as an assistant visiting professor in 2009, Cail dedicated most of her time to researching the psychopharmacology of addiction. Her expertise in drug codependence developed out of a passion for the mind-body connection, as she explored whether the mind could be used to heal the body and improve the success of treatment without the side effects of medication. For instance, a person with an outgoing, thrill-seeking personality is more likely to be attracted to stimulants, such as methamphetamine. On the other hand, a person with a depressive personality may appreciate ecstasy, because it produces the same happy chemicals as antidepressants. Furthermore, an anxious person who has trouble self-soothing is already stimulated enough and is more likely to rely on substances like alcohol, marijuana, and heroin to relax. Cail has witnessed the validity of this notion beyond the lab. She recalls a conversation with a friend who admitted to trying opium for the first time. When asked for feedback, his nonchalant response about its lackluster gratification shocked her.